Identify a discussion facilitator. Your facilitator may be a law enforcement leader, internal trainer, police academy trainer or educator with a law enforcement background. The Discussions Matter Facilitator Guide provides step by step guidelines to support successful discussions, as well as the FREE Discussions Matter Facilitator eLearning. Distribute Discussions Matter Workbooks. Each facilitator and LEO participating in discussions should receive their own Discussions Matter Workbook. The Workbook provides each with an interactive learning experience. 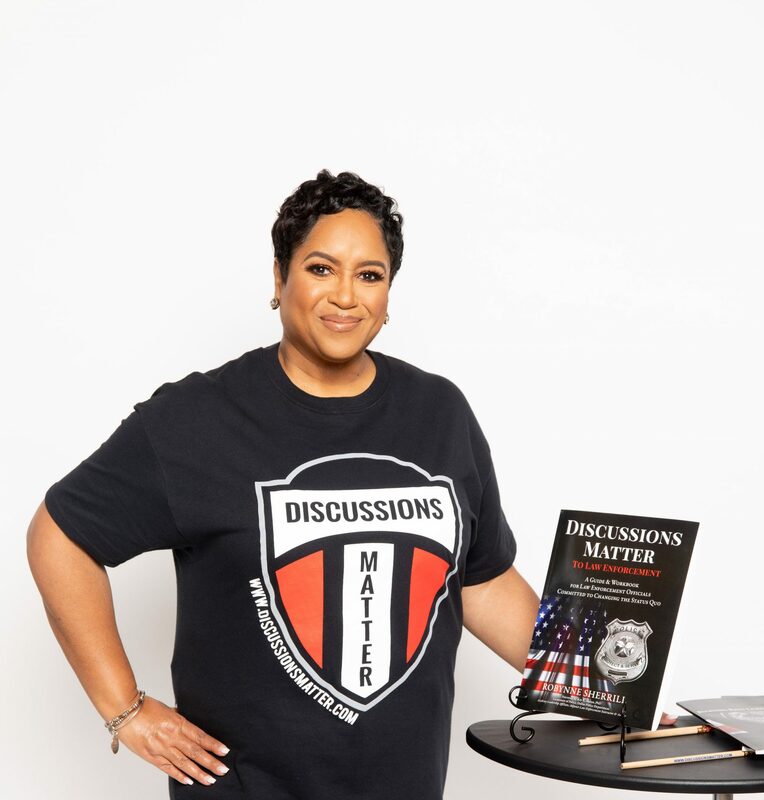 It’s not just a read and go workbook, but a read, discuss, plan and apply what you’ve learned through facilitated discussion of 5 specific topics: 1) To Protect and to Serve; 2) Understanding Police Legitimacy & Followership; 3) Demonstrating Values-Based Performance; 4) Visible Active Engagement & Vision and 5) Making the Decision to Change. Schedule Discussions. The ideal discussion time per topic is 60 minutes. However, you are able to flexibly engage in discussions in the time it works best for you. You could pose ONE discussion item during a stand-up meeting and ask individuals to quickly share 1 thought related to the item. For example, one question in Topic 1 is: Share how implicit bias has impacted you personally; both when you’ve been subject to it and when you have demonstrated behaviors that could have been implicit. The topics are designed to ignite discussion in a safe space. There are various ways to facilitate discussions outside of traditional classroom training. Apply Discussion Points. Use Discussions Matter tools and resources, within the workbook and on the http://www.discussionsmatter.com website, to help members capture learning, plan for action and apply what they’ve learned through discussions with others. Continue Discussions. Not taking the time to talk through common challenges is a missed opportunity to improve relationships and impact positive change. Discussions Matter is designed for continuous dialogue beyond the content of the Workbook. Apply the Discussions Matter approach to ANY topic. BE the catalyst for change. Help members turn challenges into positive changes. Topic 5 provides discussion points and guidelines designed to support this step. What do you need for Discussions Matter? Need more information? Contact drsherrill65@gmail.com. This could be very informative and/or heated because of the current issues directed towards sworn IOD personnel. There feelings now is not going to reflect how they felt prior to hearing of the new changes that go into effect within the next two days. Hi Edwina! Thank you for commenting. Informative AND heated discussions are good if It produces an exchange between individuals. This is why discussions matter ;-). Previous PostPrevious Celebrating Dr. Martin Luther King, Jr.